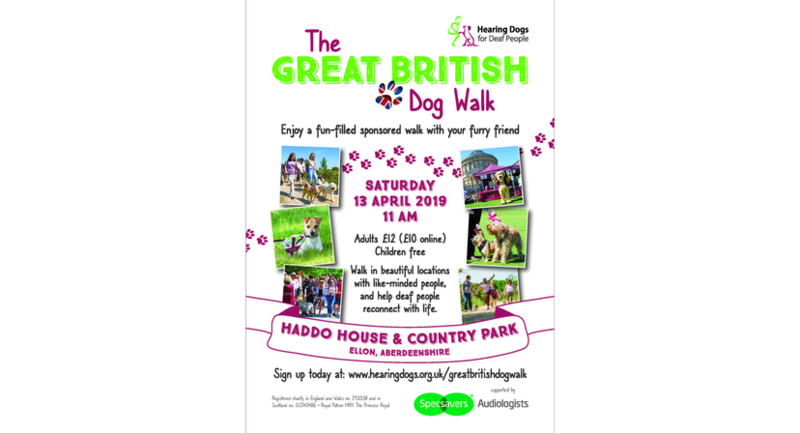 Join Hearing Dogs at The Great British Dog Walk at Haddo House & Country Park on 13 April 2019, and help change a deaf person's life. 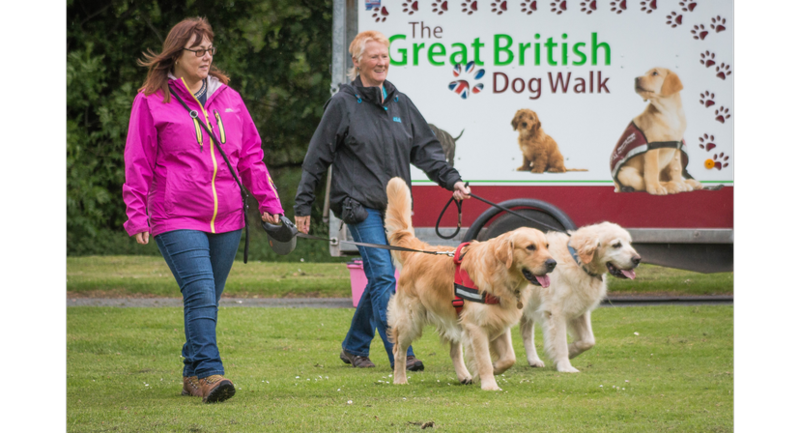 It’s a great way to have fun, get some exercise and of course spend time with lots of dogs! - Free bandana with every adult ticket - Every four-legged friend gets a free bandana so they’ll look even cuter. - Tea and cake - After the walk, there’s nothing better. Plus, it’s great, and it’s British! Get yourself or your dog sponsored, or sponsor a friend, to help the Charity train even more life-changing hearing dogs. 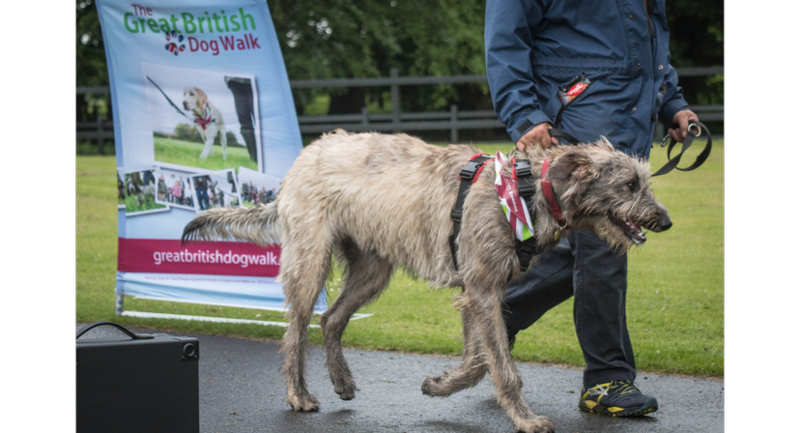 If you or your dog raise more than £50, we will send you a certificate in thanks for your kindness.